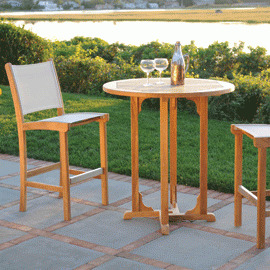 Kingsley Bate offers an array of choices in dining chairs and tables. 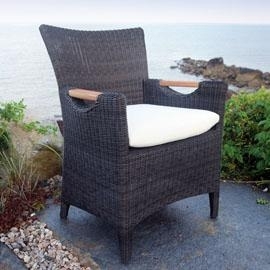 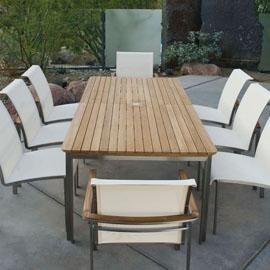 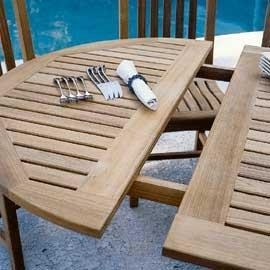 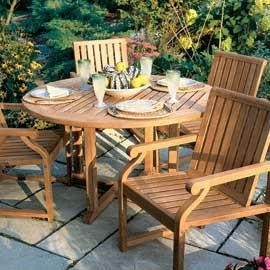 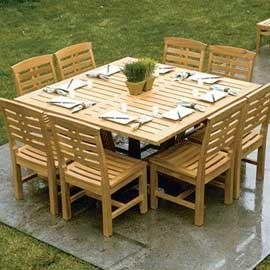 The ability to mix and match wicker, stainless steel, and durable fabrics with teak is a unique attribute. 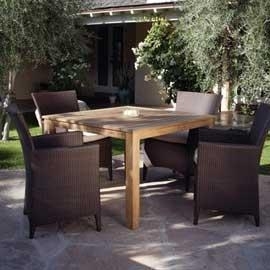 KB tables range in size from the 30" Bistro to the 122" Essex extension table. 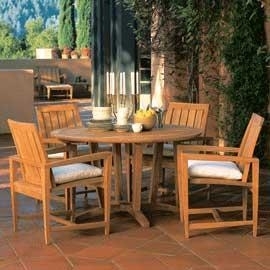 Choose among round, rectangular, oval, and square shapes.